O’Reilly has been known as a publisher of books on information technology for over thirty years: as their website puts it “a chronicler and catalyst of leading-edge development, homing in on the technology trends that really matter and galvanizing their adoption by amplifying the faint signals from the alpha geeks who are creating the future”. Which might suggest that its offerings are only relevant at the hard technology end of the information sciences, away from central concerns of information organisation, access and use. Not so. Two of their newer books, by J.D. Biersdorfer and by Jeff Siarto, deal respectively with a device – the iPad – and a software system – WordPress blogging – which typify the developments in information technology which have revolutionised the information environment over the past decade. One has arrived rather suddenly, while the other has been long anticipated. The handheld information device has been predicted for many years in science fiction and futurology speculation, so that we have been waiting rather impatiently for its instantiation. Biersdorfer suggests that the iPad was specifically foreshadowed by Star Trek’s Personal Access Display Device (PADD). Conversely, I am not sure that the idea of the blog has been mentioned very much, if at all, in any speculative writing; the over 150 million blogs so far created seem to have arrived largely unannounced. Billed as a “brain friendly guide”, Siarto’s guide to WordPress apparently uses “the latest research in cognitive science and learning theory to craft a multi-sensory learning experience”. In practice, this means that it is written in what is for me an irritating overly-conversational style, with a plethora of diagrams, photographs, speech bubbles, and case studies. The index, by contrast is limited, and I found it quite difficult to find specific topics; this is book to be worked through, rather than referred to. Oddly, perhaps, for a book emphasising a friendly approach, it comes with a rather nannyish set of suggestions on how to use it: from being told “Read the There are no dumb questions. That means all of them. They’re no optional sidebars – they’re part of the core content! Don’t skip them”, to being advised to drink lots of water when reading it. People who like this sort of thing will find it the sort of thing they like. 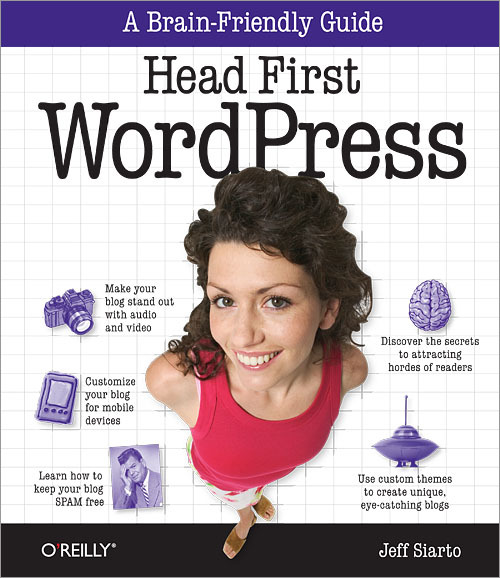 While it didn’t appeal to me, the book contains much useful information, and anyone new to WordPress blogging would benefit from working through it. And, yes, despite my concerns at the way WordPress put in an iPad app with minimal announcement, it’s still a very nice system to use. Much more to my taste, style-wise is Biersdorfer’s guide to the iPad. A quote on the cover suggests that the Missing Manual series, of which this book is a volume, is “simply the most intelligent and usable series of guidebooks”. I would go along with that. Very clearly laid out, and nicely written, without gimmicks or razzamatazz, and with detailed contents pages and indexes, it gets it points across very well. And, for the iPad, these points add to the assertion, though the author does not make it explicitly, that this device can change information access and use in quite fundamental ways. The book illustrates, of course, how the web may be browsed, music, video and photographs organised, email and social media accessed, and the other well-known applications of tablets like iPad; and explains these in a way which would be useful to all but the most informed users. However, arguably the most transformative aspects are elsewhere; in the office software suite, which brings the personal computer to a genuinely mobile format; in the variety of apps, particularly including the mobile, map and location functions, which make the idea of ‘information anywhere’, a clearer reality than formerly; and perhaps most of all in the book reader applications, in which – as the author suggests – we may be seeing the book of the 21st century. 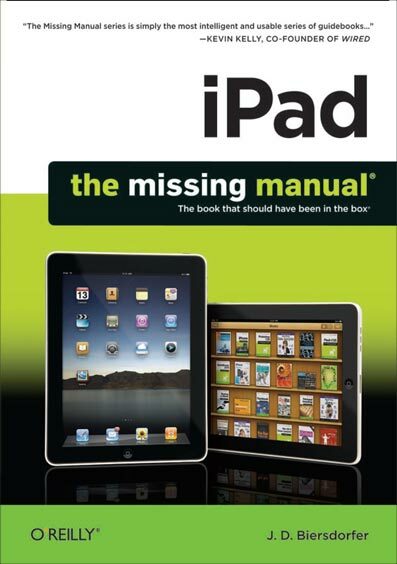 This is certainly the clearest explanation which I, as an iPad novice, have seen of these issues. Both these books, in their different ways, are excellent guides to their subjects. Reflecting on them also shows us something of how information technology and the social context of information seeking and access is changing; and also how limited is the futurology of information. It’s also interesting, and perhaps ironic, to see how printed books have a value as tools for making good use of e-readers and blogs; and how good books can appear in very different formats. Next Post The document in the cave?